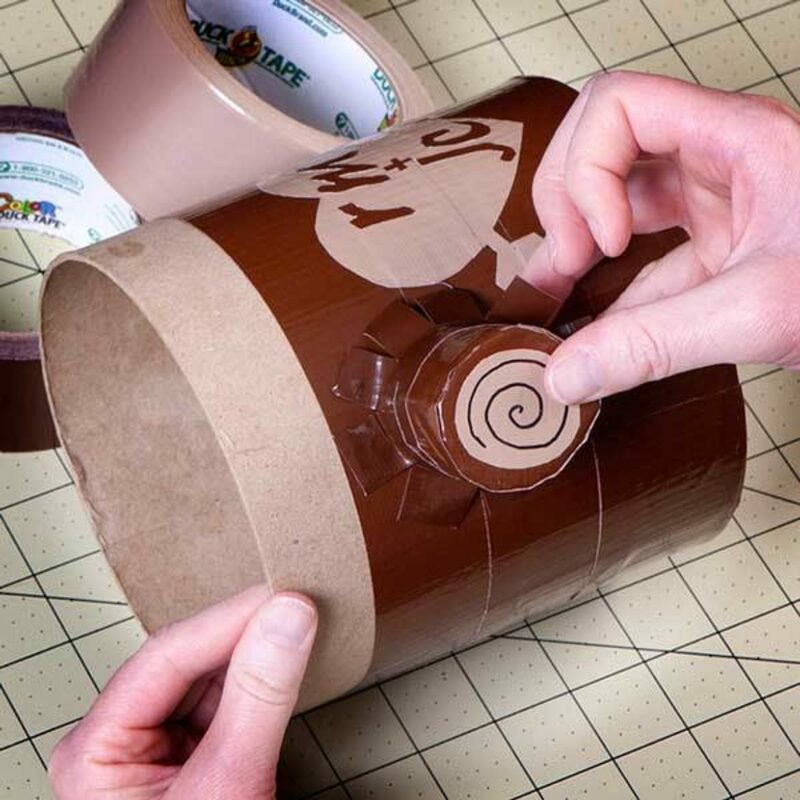 For the base, cover the cyclinder box with Duck Tape®. 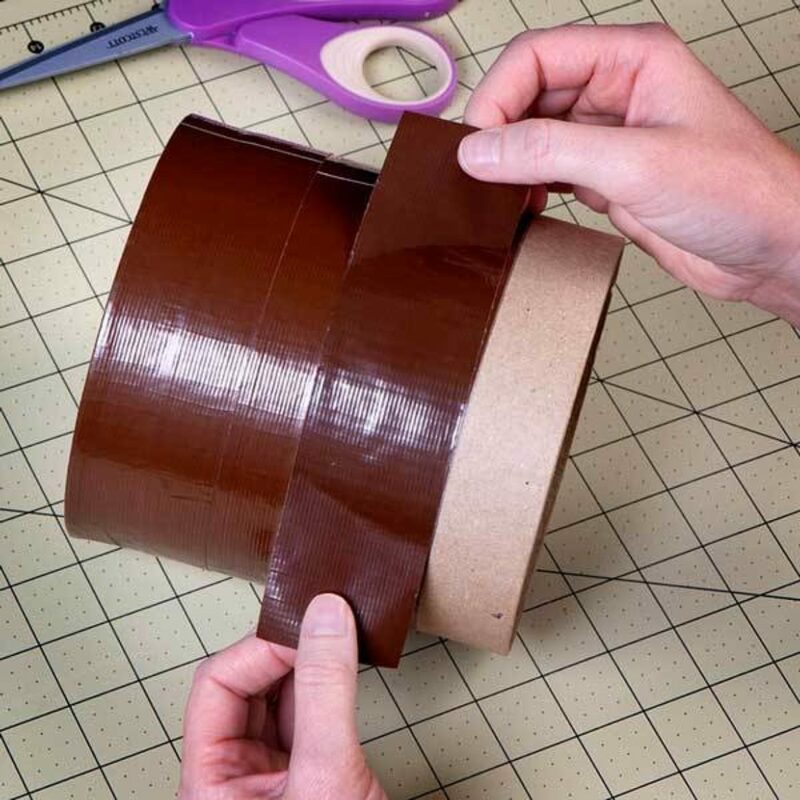 Create a Duck Tape® fabric that is 4 in. long and 5 in. wide. Draw a heart with an arrow through it on your fabric and cut it out using a crafting knife. 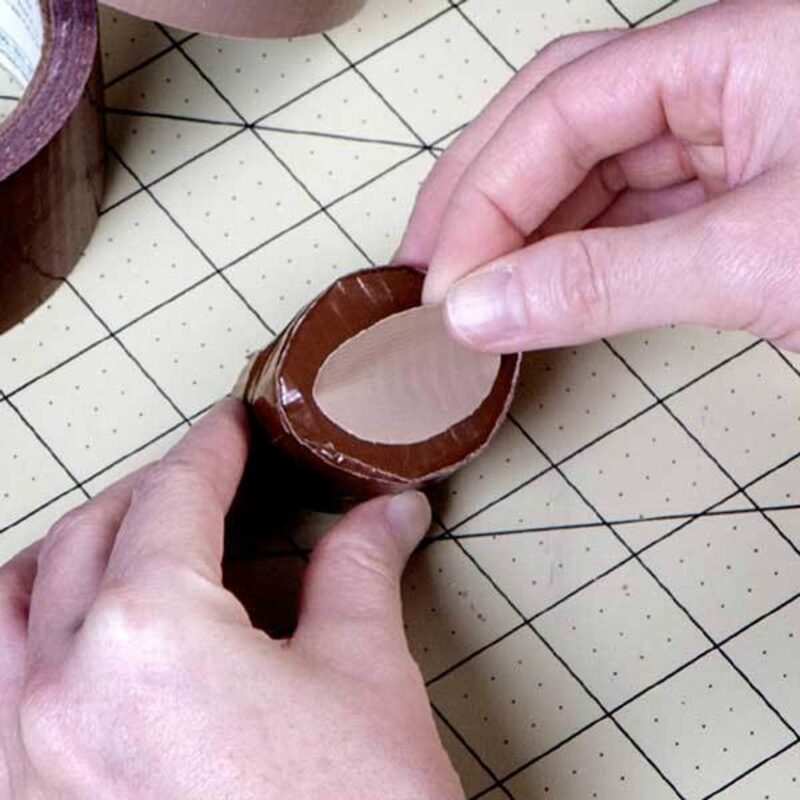 Cover the lid in Duck Tape®. Then, cut a slit that is 3 in. long and 1 in. 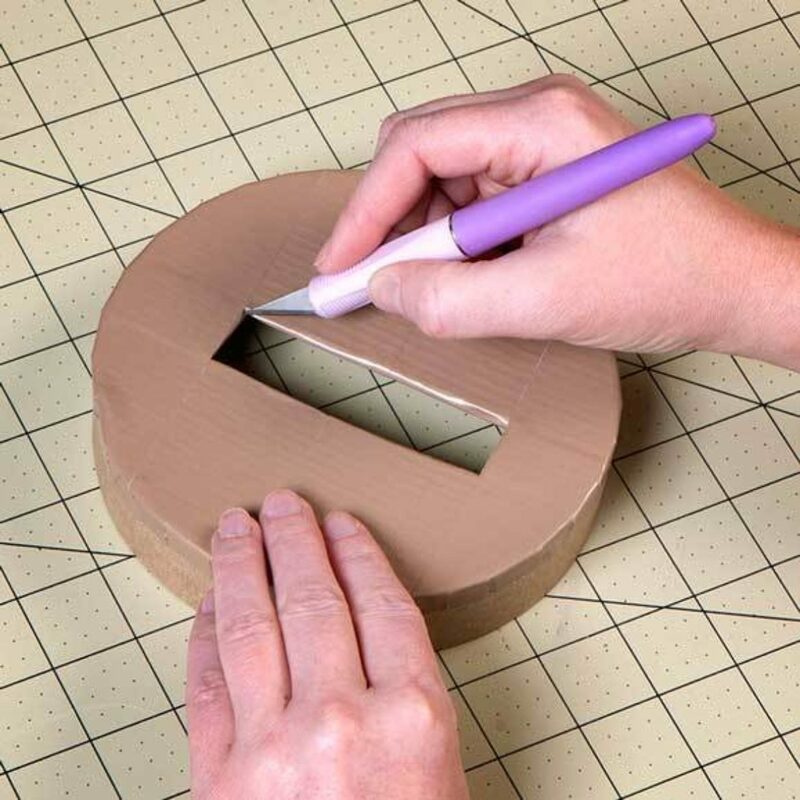 wide in the center using your crafting knife. 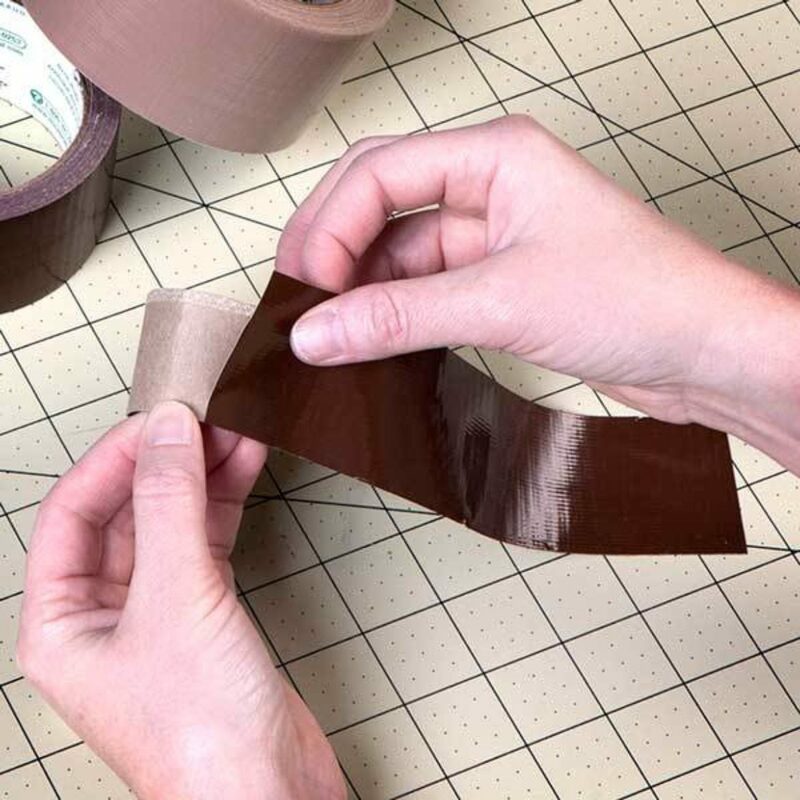 Wrap a single long strip of Duck Tape® around the sides of the lid. Trim off any excess. For the branch, cut off a 1.5 in. 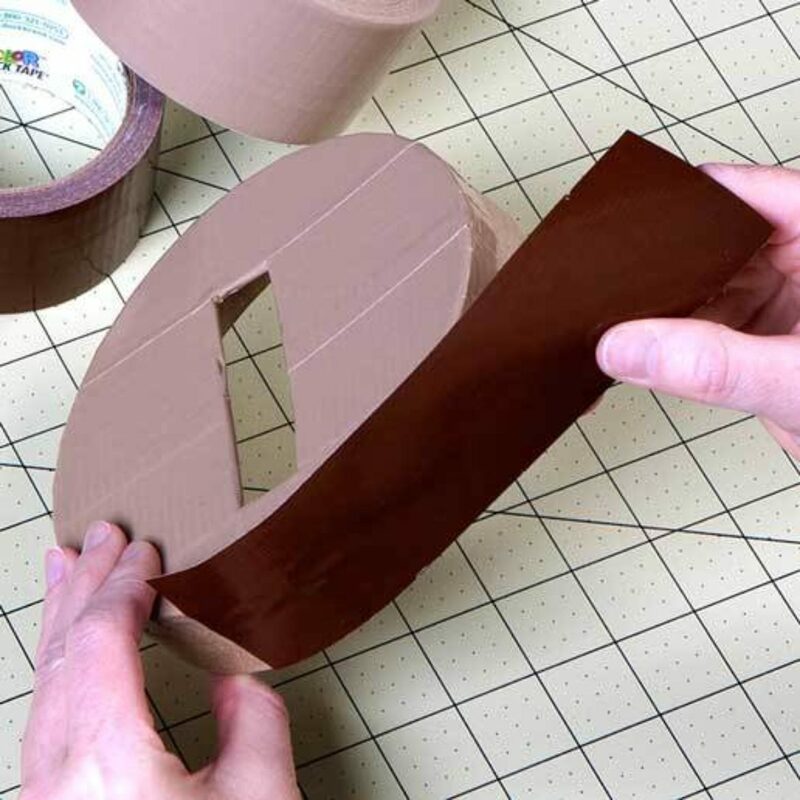 piece of your paper towel roll and cover all but one open end of the roll with Duck Tape®. Cut a 1 in. circle out of Duck Tape®. 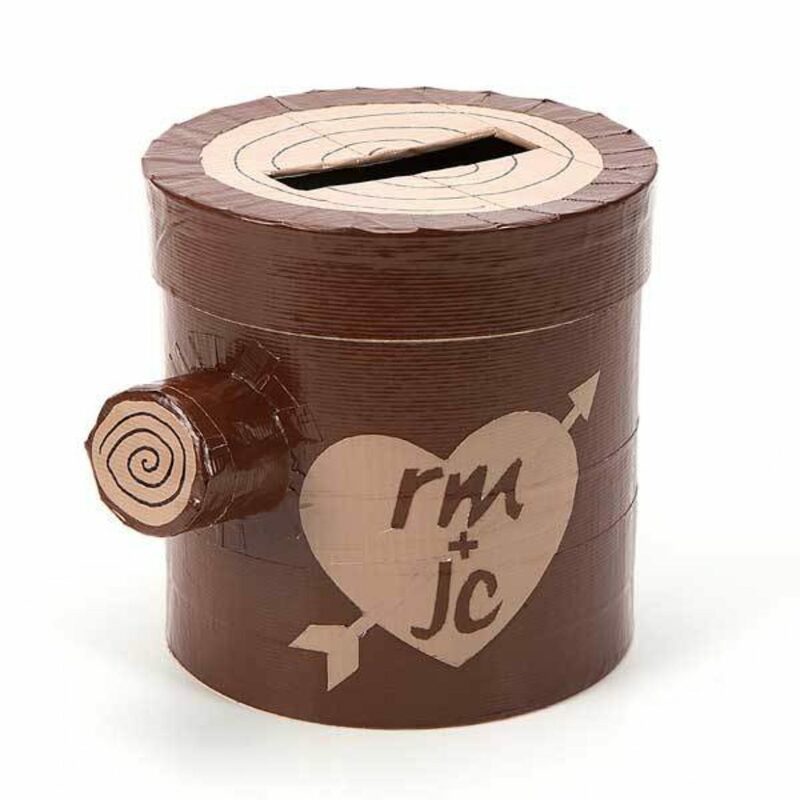 Place that on the covered end of your branch. 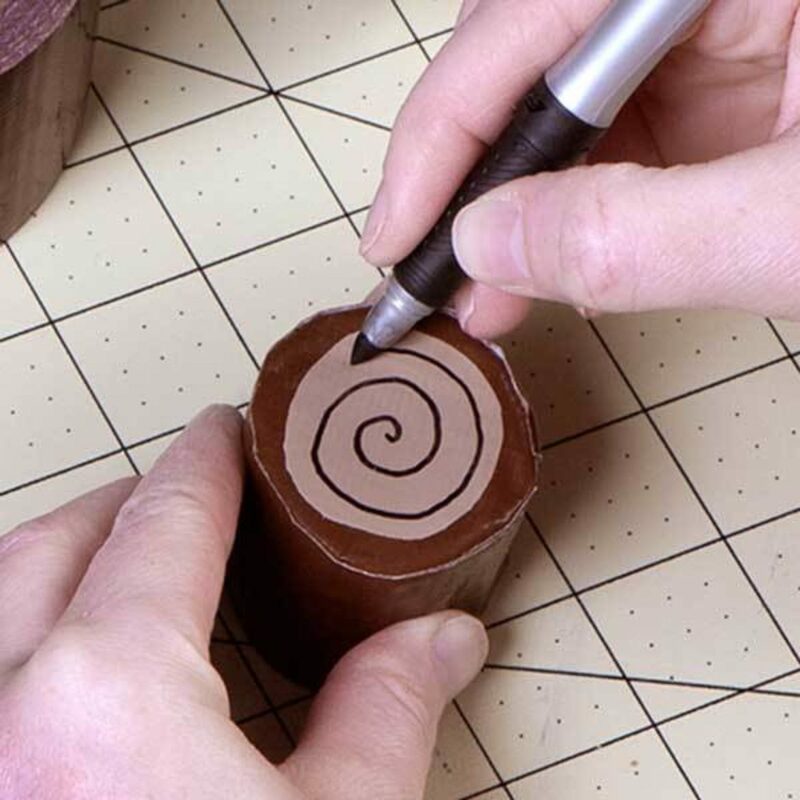 Using your marker, draw a spiral on the Duck Tape® circle. Tape the branch on to the stump using Duck Tape®.